The next exciting milestone we celebrated recently was starting Rhys on solids.Since his father and I are foodies, and eat almost everything, I was excited to discover his likes and dislikes. I was also eager to start making his food so I could understand what he was eating and feel good about what is going into his body. 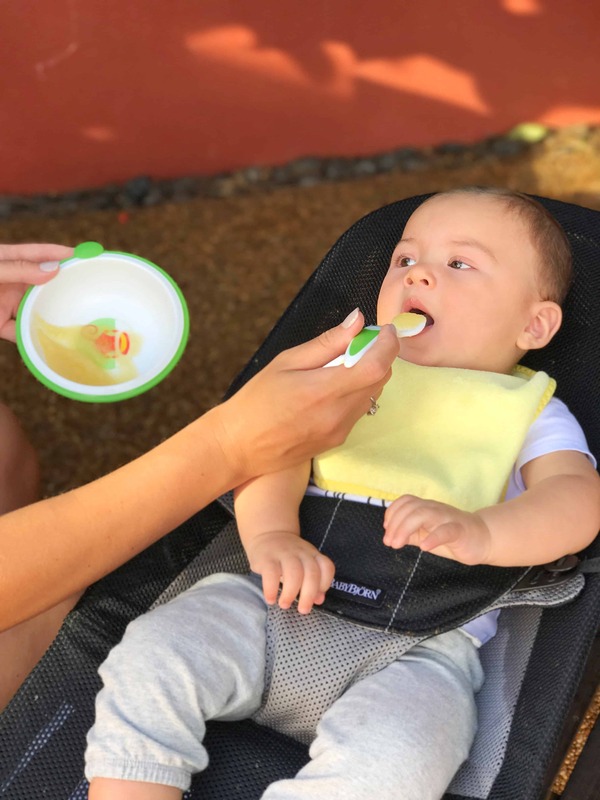 The American Academy of Pediatrics advises parents to wait six months before starting their little one on solids, but that can vary. My pediatrician said that when the baby is able to hold their head up, sit upright, and displays an interest in food, they are likely ready. I also invested in this great gadget that allows you to package the food in pouches like the ones you see in grocery stores. 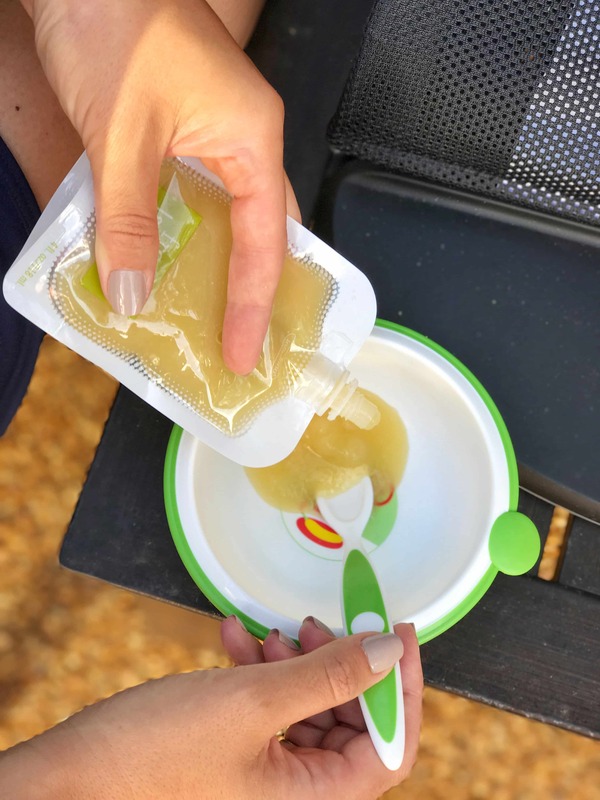 The pouches are 4 ounces each and perfect for on the go feedings. 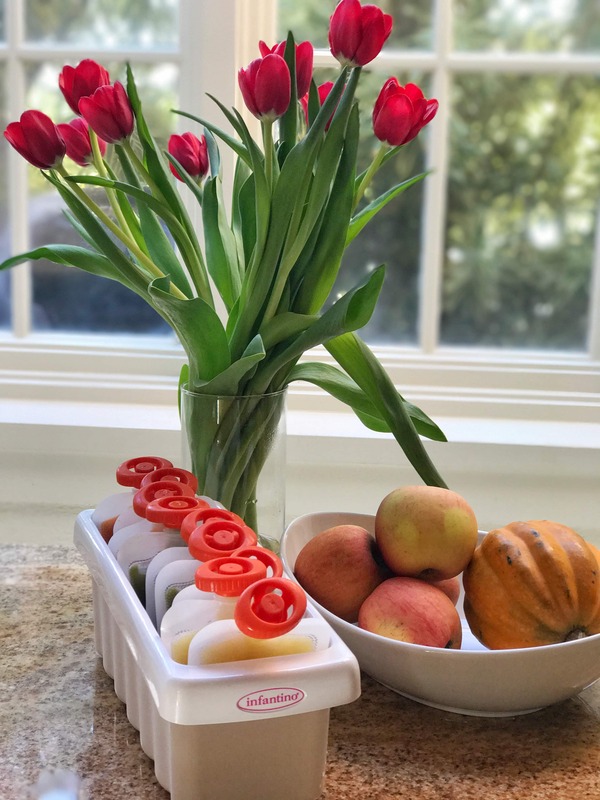 You can freeze them for up to 2 months and store them in the fridge for up to 48 hours. I usually decide to make a day of it; selecting organic foods whenever possible. A baby’s digestives system is unable to handle the pesticides and toxins that small children and adult’s can. If purchasing organic is not an option for you, try to avoid The Dirty Dozen list. Another tip is buy pre-cut organic veggies, which will save you time preparing the food. When we are home, we love using the Dr. Browns feeding bowls. They are extra deep for less spills, easy feeding and come with a non skid base. The bright color bowls sell in packs of two. I love the Dr. Brown’s long spatula spoons as well because the spatula edge makes it easy to wipe food from the baby’s mouth and face. 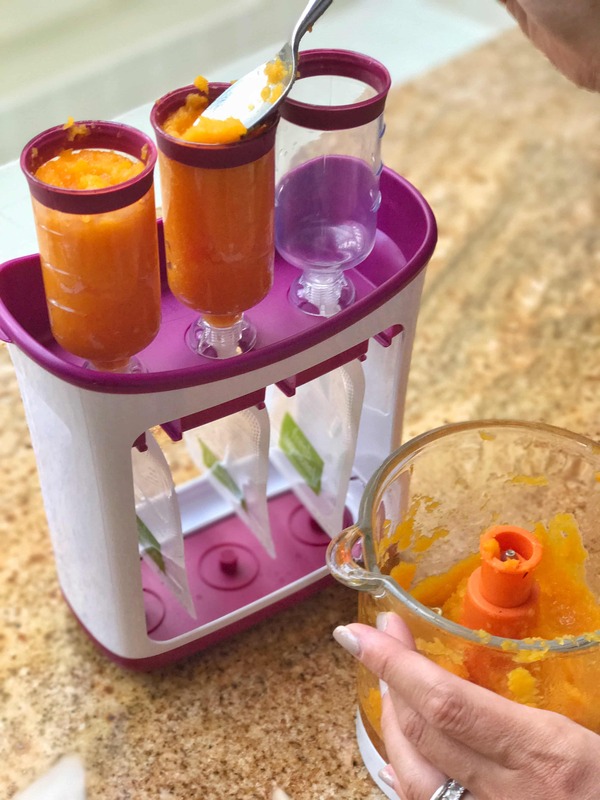 There are so many great baby food recipes on the Internet so go out and experiment. 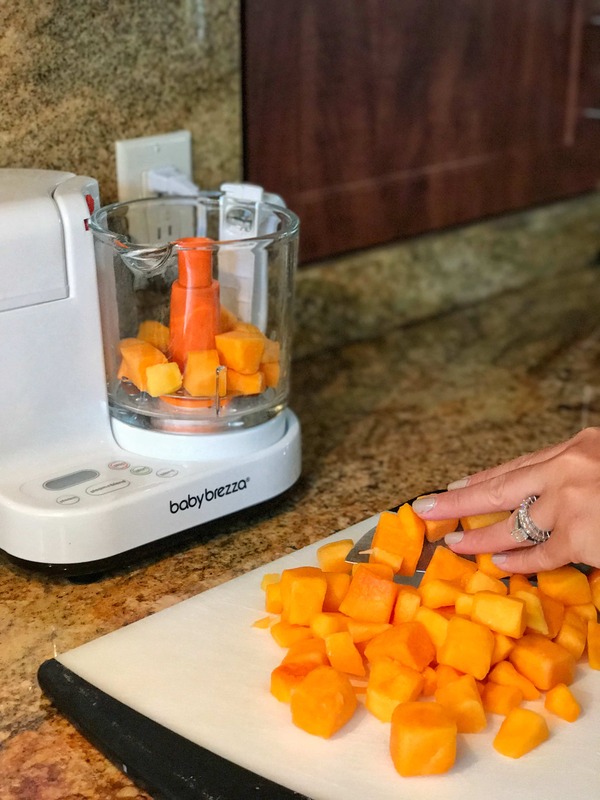 Have fun and enjoy your baby’s food adventure! *Thanks to Dr. Brown’s for sponsoring this post. All opinions are my own!